The charming Seafarer’s Cottage is a small, private, romantic hideaway nestled within the mature English and native gardens of Rugosa Cottage, a historic home near the heart of Portobello village. Whether your holiday calls for leisure and indulgence or activity and adventure, Seafarer’s Cottage is the ideal home base for your Otago Peninsula experience. If relaxation is the order of your holiday, spend the morning in your own private garden, curled up with a book and enjoying the native birdsong. Portobello’s famed Happy Hens shop and adjoining playground are just steps away, as are the savoury and sweet eats at Penguin Cafe, Portobello Hotel and Bistro, 1908 Cafe, and Ric's Fish and Chips. The well-stocked Portobello Store, just a two-minute stroll away, will ensure you have all the supplies you need for your holiday. Or check out our museum, art gallery, and shops like NZ Greenstone and Art, which feature the work of local artisans. If your Peninsula holiday calls for sightseeing, Seafarer’s Cottage is a convenient drive to the Albatross Colony, Penguin Place, Larnach Castle, Allan's Beach, Victory Beach, Sandfly Bay, Sandy Mount, Harbour Cone, and so many more beautiful attractions in the surrounding area. Local bus service provides regular transportation to and from Dunedin City for those looking to explore more sights. 2 night minimum during peak season. This cottage is for 2 people only; however, a baby may be okay if we are notified in advance. Please note that the cottage has a small kitchenette only, nor suitable for full self catering. We're happy to do your dishes for you. *There are friendly family pets on the property. We can keep them away but if you don't like animals, our place may not be right for you. The nautically-themed, self-contained Seafarer's Cottage is set in rose and native gardens, and just a two minute walk from the local village, hotel, museum, restaurant, and shops. It’s an ideal base to see all that's on offer on the Otago Peninsula. A beautiful wee Bach in Portobello. Incredibly relaxing, quiet and just what we needed. Little decorated details added to the sea/ coastal theme. 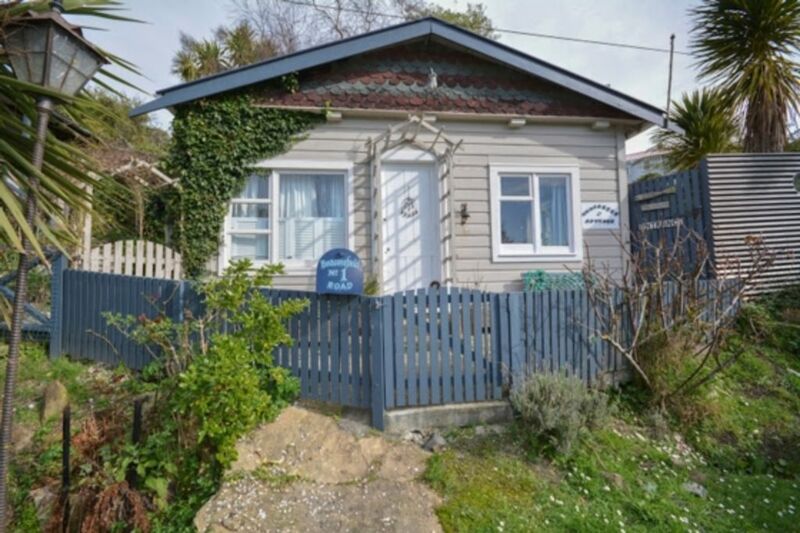 A cosy cottage in a fabulous location -hosts exuding that remarkable NZ hospitality! Thanks, glad you enjoyed your stay and thank you for leaving everything so clean and tidy! Enjoy the rest of your travels and all the best. We enjoyed our short stay in this lovely, small home in a very quaint, friendly community. A nice diversion from the city! Excellent hosts, exactly as described, very comfortable! We enjoyed the comfort of this tiny two roomed cottage and its location in Portobello. Joe and Jamie responded promptly and were welcoming and helpful during our stay. Thanks, glad you enjoyed your stay. All the best. Lovely property in a delightful location. Less than a 30 minute drive from central Dunedin, a stone's thrown from Larnach Castle and other places of interest on the peninsular, and only 5 minutes walk along the water's edge from some great places to eat in Portobello. Penguins, sea lions, seals, birdlife, beaches, horseback riding, cycling, delicious food, local pup, walks, tracks, boat rides, albatross..